Several justices on the nation's highest court are in Massachusetts to celebrate the bicentennial of Harvard Law School. 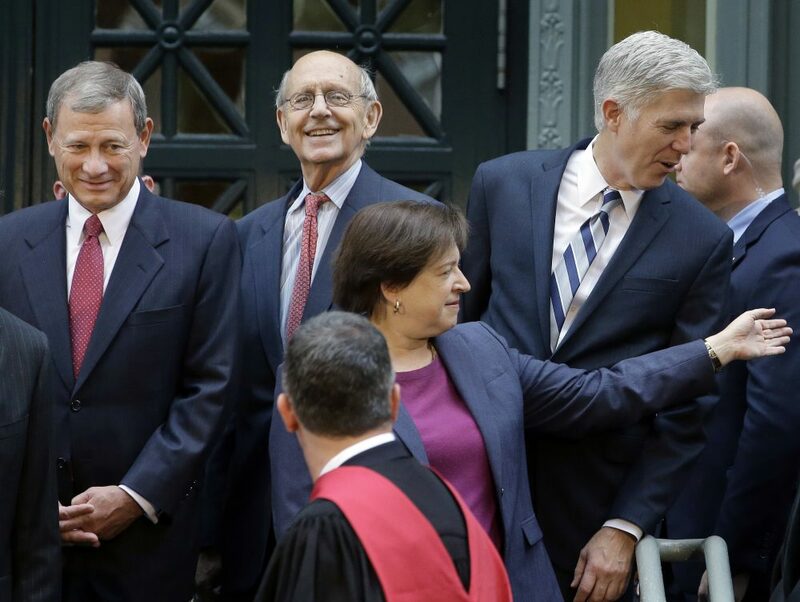 U.S. Supreme Court Chief Justice John Roberts has been joined by Justices Anthony Kennedy, Stephen Breyer, Elena Kagan and Neil Gorsuch and retired Justice David Souter at Thursday's event on campus. They are all Harvard Law School alumni. Roberts was scheduled to give remarks. Harvard Law School Dean John Manning planned to lead a conversation with the justices. The 200th birthday celebration continues on Friday. Members of Congress including Democrat Elizabeth Warren of Massachusetts, Republican Tom Cotton of Arkansas and Democrat Tim Kaine of Virginia are expected to take part. Other speakers on Friday include former U.S. Attorney General Loretta Lynch and former U.S. Ambassador to the United Nations Samantha Power.